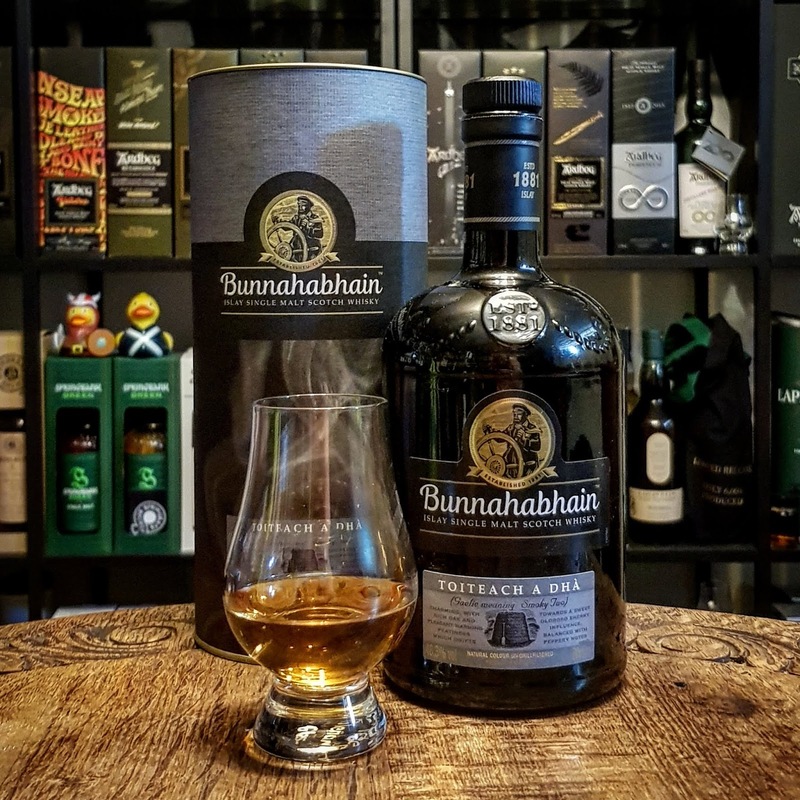 First heavily peated whisky in the Bunnahabhain core range. The name is gaelic and means “Smoky Two”, with reference to the limited edition “Toiteach” a while ago. It is matured in both Bourbon and Sherry casks, but with a higher proportion of Sherry casks than the “Toiteach”. Peat and spices in the smell. Black pepper. In the back you have some raisins and vanilla. Peat with a mix of oak and that black pepper again in the taste. White fruits and a maritime saltiness. Some hints of dried fruits as well, but not much. 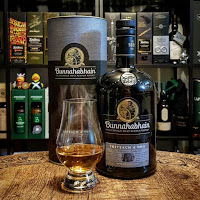 Some spices comes forward in the finish alongside some sweet vanilla peat. It is way less Sherry influenced than I thought it would be. Not that it is bad, but you just have to be aware, so you don´t expect a completely different whisky. When I first got to know it, I really enjoyed it, and those peppery notes from the Oloroso casks is just beautiful! I will give this 84/100 (21/21/21/21).